14.32mm x 15.32mm / 0.564in. x 0.603in. Mining Gold Pan Charm by Rembrandt Charms. The height is 5/8 of an inch. Strike gold! Add the Gold Pan Charm to any professions themed Classic Charm Bracelet. This mining jewelry piece is a great gift to add to a gold or silver charm collection. 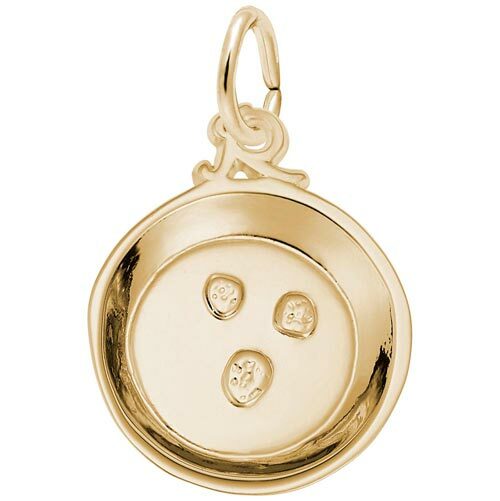 This mining pan charm can be placed on a necklace or will be a wonderful addition to a Charm Bracelet. All Rembrandt Charms are available in either silver or gold.